On Wednesday, April 25, Google started revamping Gmail’s web interface. Now the new revamped Gmail version is live for all of us and it’s cleaner and looks much organized and fresh than the older version of Gmail. 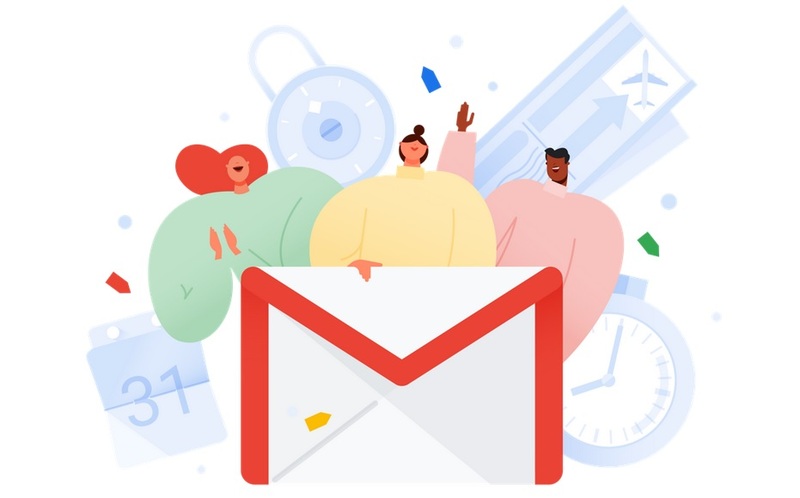 With some significant design changes, the new revamped Gmail also adds several new features including a “confidential mode,” email snoozing, better integration with other Google apps, Smart Replies in Inbox, an improved offline mode and more. If you haven’t yet tried the new Gmail web interface on your desktop then you must check it right now. The new Gmail web interface is not auto-enabled by default, but worry not, it’s so simple. To enable the new revamped Gmail web interface simply log in to your Gmail account, now head over to the Cog wheel icon at the top right corner of your inbox and select “Try the new Gmail” at the top, now wait for a while as the new Gmail is loads and that’s it now you have the new Gmail web interface enabled on your desktop. After enabling the new Gmail interface a new ‘Welcome‘ window will pop up just click ‘Next‘ now you will get three ‘View‘ option to use on the next window. Just select any of the views options from Default, Comfortable, and Compact. To change the Views option later just head over to the Cog wheel icon then click the ‘Display Density’ option and change the Views of your Gmail Inbox. To go back to the classic version of Gmail just head to the Cog wheel icon again and click on the ‘Go Back to Classic Gmail’ option. That’s it this how you can enable or disable the Gmail’s new web interface. Do let me know how you like the Gmail’s new web interface for desktop in the comments below.